Be a Part of the 2019 Expo in St. Louis, MO! 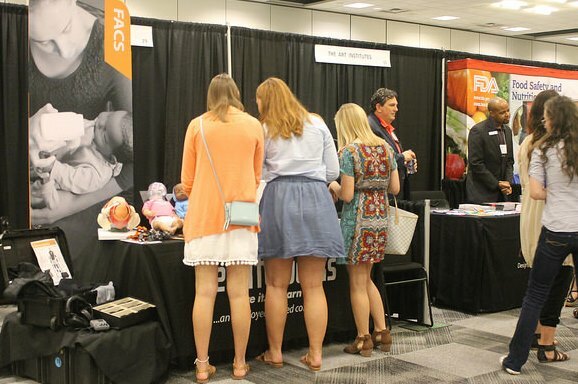 The Expo is one of the most popular parts of the Annual Conference, with over 90% of survey respondents visiting, over half of whom spent more than an hour in the space! 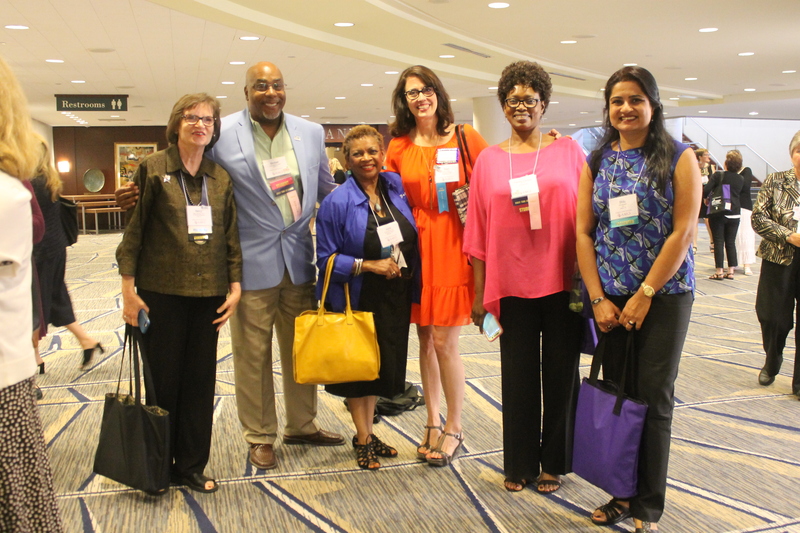 For more information about AAFCS Annual Conference demographics, contact us at connect@aafcs.org. Tuesday morning we’ll be holding a special event in the expo hall--stay tuned for more information and sponsorship opportunities! We are committed to building an exhibit and sponsorship package that works best for YOU—we can personalize for your needs! There are many options listed below—but feel free to take a look through the conference website and see if there’s an event or opportunity that speaks to you! Click here to download the exhibit and sponsorship order form. Reserve by April 1, 2019, EXTENDED--new deadline April 15th to save! Each 10 x 10 booth includes: ID sign; 8-foot back drapery and 3-foot high side rails; 6-foot draped table; 2 padded chairs; and wastebasket. Additional booth furnishings will be available from decorator. Hold a Demonstration in the Expo Hall! 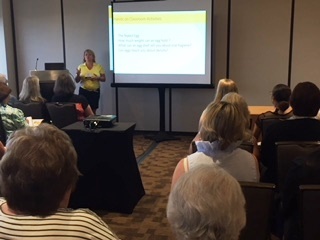 Share information about your organization with our attendees at a Learning Lab! We’ll organize a 50+ seat meeting room near the Expo for you to present a 50-minute educational session. For high visibility, a session description and location appears in the Conference Program Book within the main Program section along with our Conference App. Number of sessions is limited, so reserve early. Learning Labs take place during Expo hours only, with no other events conflicting. Put all eyes on you at the Opening General Session --traditionally attended by 600-700 attendees! Our Opening Keynote speaker, whose presentation would support our theme, is yet to be announced—stay tuned! This brand-new event can be sponsored as an exclusive sponsorship, or separate sponsorships for each component! Tuesday morning, from 8am-12pm, all attention will be focused on the expo, with multiple special events being held in the hall! More information coming very soon. All concurrent educational sessions are organized into one of five learning strands! Sponsor a strand and show that your company or organization supports education! Recognition in the Program book such as “This Strand is Sponsored by ABC Company"
Over 100 attendees join AAFCS on educational excursions, held on Sunday and Wednesday. Sponsor one or more and support education in a non-traditional environment! More information about this year’s excursions can be found here. Starting at $1,000—benefits vary. Send your logo home with all attendees by sponsoring the conference Tote Bag! 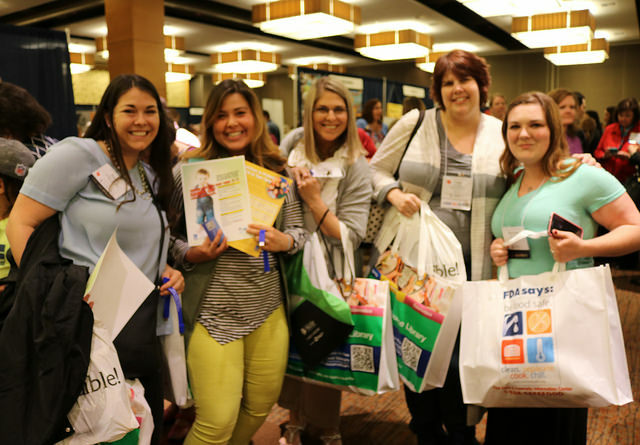 Put your materials in the hands of all attendees with a Tote Bag Insert! 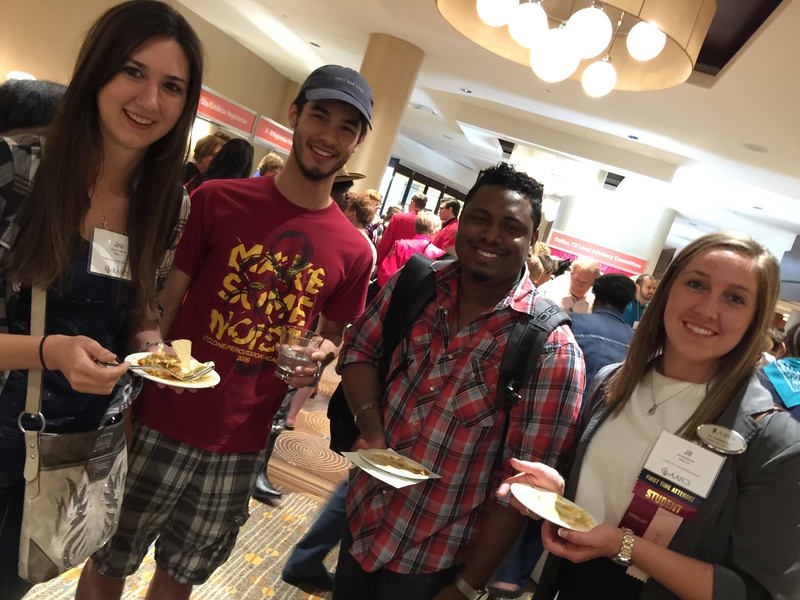 Accessed by 98% of conference attendees in 2015, the conference app is a great place to advertise products and services of value to family and consumer sciences professionals! Place Your Ad in Conference Program Book - starting at $390 and up! The essential guide to everything happening at the conference. This take-home resource is used all day, every day, by each attendee. All ads include full color. Specs: Trim size is 8.5 x 11. Add .0875" for bleed. Press-quality PDF. Not seeing anything that appeals to you? Take a look through our conference website and find an event that clicks with you!